Once you have made your reservations you will need to download the Registration form on the left side of your screen. Please fill in the information and either bring it with you or e-mail it to me. You will also need to bring food for your dog or there is an additional fee of $5.00 per day. The kennel is behind my house and I do this full time. Pick up and drop-off times are between 7-9 am and 5-7pm or by appointment. Situations vary but the general rule of thumb is $20.00 per day per dog. Where possible 2 dogs staying together can be boarded at a discount. How can I make my dog more at ease while boarding? Bring something that smells like you or the children...an old t-shirt or towel. Bring your dog's favorite treats and toys. You can be assured your dog is safe and secure. He/she will get walked at least 2x a day. Feeding is per your instructions. I have beds, bowls, toys and lots of love to give them while you are away. What other services does Hollyhock Kennels provide? I am available to transport your dog to your vet or your groomer from here or from your home. I can give medications and shots. Free soup bones on Sunday if allowed! 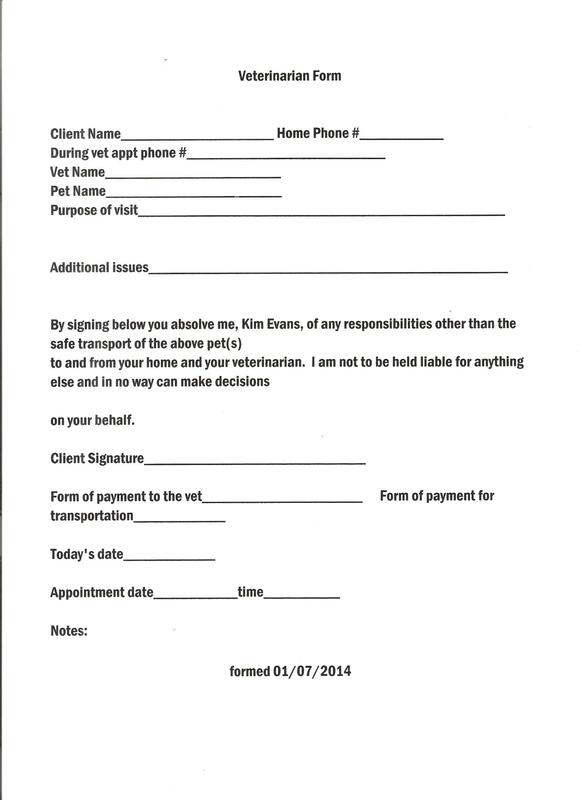 When requesting transportation to your veterinarian, please fill out the vet form on the right prior to the appointment. I am here 24/7 and I will call you back when you call to check on your dog. I also have space available for cats! YES!!! I can also come and pick up your pet(s) and drop them off whenever you like! Get your friends' pets to sign up and get a discount. The ATV is always available. (A) nimal (T) ransportation (V) ehicle!